Sikorsky, part of Lockheed-Martin, was looking for a new platform for external workforce management and services procurement as its current platform was slated for decommissioning. The urgency to avoid disruption of its engineering department was paramount, as the company relies heavily on this capability. At the same time, Sikorsky was seeking a more robust technology solution for external talent management - one that could offer expanded benefits and support evolving business needs. SAP Fieldglass was picked for its industry-leading enterprise platform for external workforce management and services procurement. 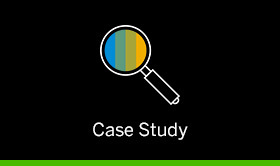 The company also has a proven track record in the industry, and with the acquisition integration changes already underway - pressured by the tight timeline - SAP Fieldglass speed and agility made it the right choice.